From noisy high school gymnasiums to jam-packed arenas, the game of basketball never fails to produce legends and champions. It's a sport where hopeless underdogs create incredible comeback stories, where leaders are born and dreams of victory are realized. 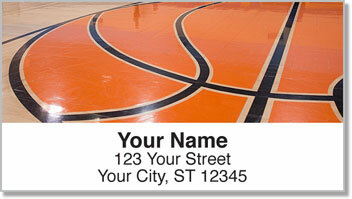 Basketball Address Labels from CheckAdvantage capture a little bit of the magic that happens on the court. They're the perfect choice for fans and athletes alike. 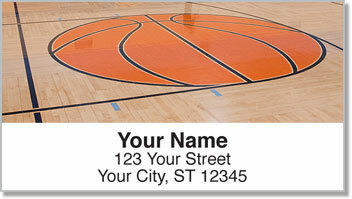 Plus, you'll save time by cutting out the need to write your return address on envelopes by hand. Now that's a good game-plan! 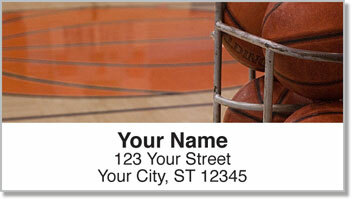 Get your own Basketball Address Labels today! 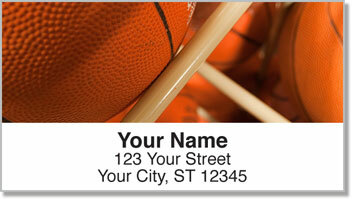 This sports-themed selection is also available to order as a set of personal checks.